If the roof of your mobile home has sprung a leak or been damaged by weather, you have a decision to make – should you patch it or replace it? All Weather Roofing, Inc., your Highlands County mobile home roofing specialist, has the expertise and experience to help you make the decision. For minor damage – meaning that you’re not slipping and falling due to puddles on the floor – you may be able to get by with a patch, and enjoy several more years before you have to go with a full replacement. For more severe damage, when your Highlands County mobile home has to have a roof over, you can count on All Weather Roofing, Inc. to give you an honest assessment. What Should You Do About Roof Repairs? 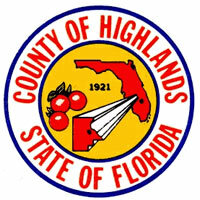 Keep in mind that eventually your Highlands County mobile home roof will have to have a roof over at some point. Patching only works in the short term. If, for whatever reason, you feel you can’t replace right away, we understand, and we’ll give you the best repair job possible. Remember, though, that even minor leaking is an indication that there will be more problems down the road, and ultimately you will need a Highlands County mobile home roof over contractor. Whatever you decide, you’ll be in good hands with All Weather Roofing, Inc. – the best roofing repair and replacement company in all of Tampa Bay. If the damage to the roof is catastrophic (Florida is, after all, nothing if not prone to hurricanes), obviously the roof is going to have to be replaced. Minor leaks can be sealed using a compound that will seal the hole and coat the surrounding area so that more water won’t be able to enter. Eventually, however, more leaks will develop, and the worse it gets the greater the risk to your health and safety, and also to the structural integrity of your mobile home. For this reason, if replacing is at all an option for you, it’s best to do it sooner rather than later. All Weather Roofing, Inc. has the perfect solution for your mobile home roof – it’s TOP (thermoplastic poly olefin), a long-lasting product that’s available in classic Non-Pattern White, as well as the Stony Ridge or Sierra Vista shingle pattern. TPO quality is backed up by a lifetime transferable warranty. Another benefit is TPO’s natural cooling properties – most mobile home owners can expect to see a 30% reduction in their AC costs. All Weather Roofing, Inc. was established in 1984, and we plan on being in business for many years to come. You can count on us to provide quality service and back up your warranty. We have an A+ Better Business Bureau rating and superlative customer reviews that prove our commitment to excellence. If your Highlands County mobile home must have roof repairs, we’ll send one of our trusted representatives to your home to provide you with a free video examination. You can see exactly where the problems are, and we’ll work with you to help determine the solution that’s best for you. Whether it’s repair or a roof over, we’ll get the job done in a matter of a few days. Schedule a free mobile home repair estimate, or call us at 1-800-297-3758. Our customer service team is there for you 24/7 to answer your questions and arrange for your free video inspection.